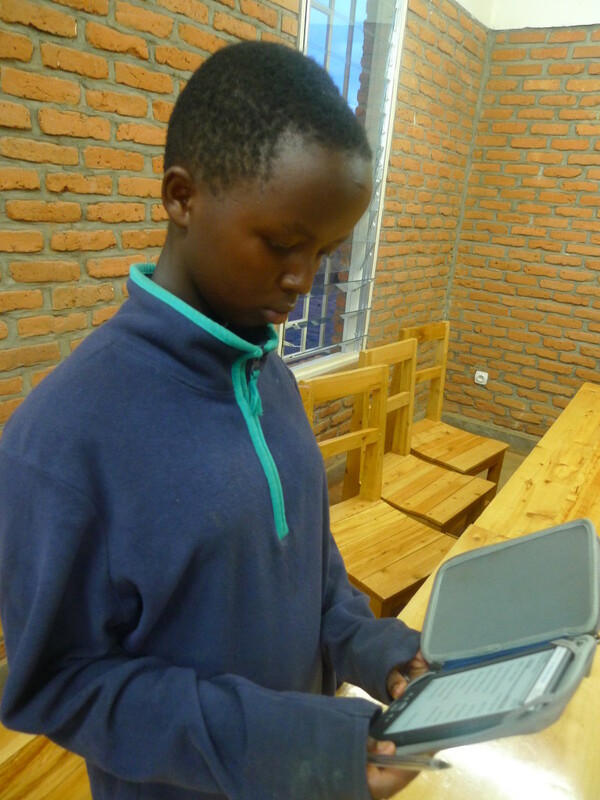 Jean Marie Habimana, our fabulous ICT Program Manager has been making great strides in working with the 60 students in the e-reader classes. Of course, like kids everywhere, they have mastered the technical aspect of using the e-readers. Not only are they learning to love reading for pleasure but reading comprehension has greatly improved they are also becoming more comfortable and confident in their English speaking skills as a result of reading aloud in front of their peers.